Like making a year-end list of best records, creating a list of one’s favorite is a silly yet necessary exercise. Silly because who really cares? Necessary because everybody’s doing it. In no particular order, here are beers that were either released this year, discovered by me this year, or finally made sense to me this year. I apologize upfront for the IPA-heavy list. I’m a hop head and have trouble remembering what I thought about most sours, stouts, Saisons, etc. 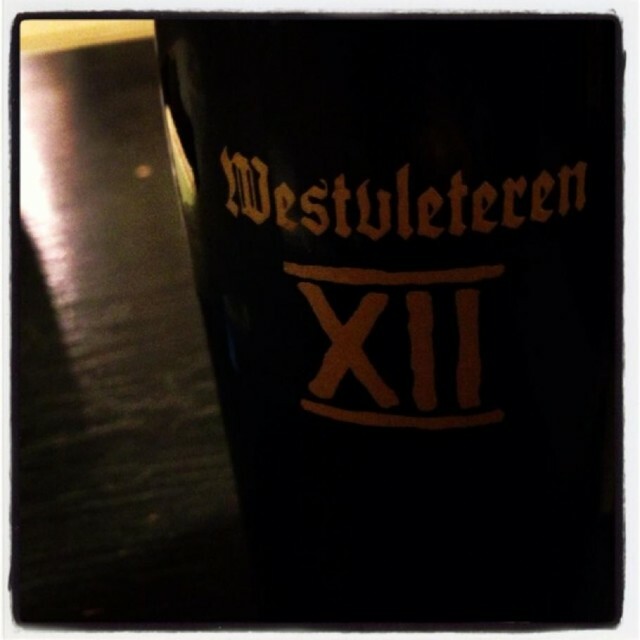 I’ve had Westy before, but it was a small sample at the end of an evening of craft beer debauchery. My bother “won” one of those lottos just to get a chance to buy and $85 six pack. He shared as family is wont to do over the holiday. Half a bottle was more than enough for me to fully appreciate what many consider to be the best beer in the world. I don’t know about all of that or even if it’s the best Belgian quad, but it’s very very good. This may have been released in 2011, but we never saw it locally. One evening in Lincoln, Nebraska at an excellent pizza joint offered me the opportunity to try this magnificent beast. I should not have had a glass of this beer, but I did. A sample was sneaked to me as I had to leave a Bells dinner. Imagine the molasses-fueled deliciousness of Expedition, mixed with the sweetness of a milk stout, and brewed in bourbon barrels. Even then, you can’t imagine how glorious this beer tasted. I love me some APA’s but this one is on another level. So much Citra. So good. Specially released IPA’s from Stone are all over my list. This one featured an amped-up version of what was my epiphany beer, if that was even possible… Of course it was! This was as good a tribute as any brewery has ever brewed. I actually preferred this one to the September version. It’s possible this one was fresher, but both were consumed well before their best by dates. The idea of a ridiculously fresh IPA is nothing new, but this release made it a priority. There’s no way one of these will ever sit on shelves too long. I hope they continue to brew Best By IPA’s. Obviously, this beer was not from this year, but I finally opened it and was glad I did. No one does lambics and sours like Cantillon. Probably no other more obvious sentence has ever been uttered regarding beer. Lou Pepe was no exception. I suspect the aging altered the beer, but I doubt I wouldn’t have loved it a couple of years ago. This one is on the brain as I just picked up the latest release of this great Smokestack Series brew. I always liked this beer but never really got it until this year. I don’t know whether that’s trying so many inferior rye beers or just the ongoing development of my palate, but it’s so rich and so good. Aside from Boulevard’s Saison Brett (another all-time favorite that could make this list every year), this is one of the true Missouri craft beer treasures. I stumbled upon one of these at a Whole Paycheck the day before Xmas Eve and figured it would make the perfect Xmas dinner drink. And it did. No one outside of these guys and Stillwater consistently make beers that go better with food. I was lucky I paced myself of this one would have put me under the table. Never in my wildest dreams would I have figured a beer brewed here in Columbia, MO would make a list like this, but this one stacks up. I’m sure the freshness factor comes into play here, but I dragged a growler nine hours to Ohio, another three to Cleveland – all of it in a cooler that was probably not properly chilled and a growler that was not properly filled to the top – and the beer survived. Hell, it did better than survive. It was downright delicious. I had nearly given up on Odell’s special releases, but this one was decently priced and I like to try anything new in this style. The beer was beautiful from appearance to aroma to the all-important flavors within. It paired well with whatever I was eating that night. This beer renewed my faith in Odell. Schlafly has been experimenting with different varieties of hops, mostly through special keg-only releases and cask ale. Still, this one was a nice little surprise. It’s one of those beers that nails the hoppiness hop heads are always after, causing us to want to drink one after the other. This is how pumpkin ale should be done. Screw the pumpkin pie and sour varieties. Put your pumpkin in an imperial stout or Baltic porter! As an imperial stout, it’s not my favorite. However, it made me rethink pumpkin beers just as I was writing them off. My own Saison is easily one of my favorites. I upped the ante with this year’s version for my partner’s tenure celebration. More lemon zest and rosemary = a punch in the face Saison that is not playing around. Add in some dry-hopped Sorachi Ace hops and you have a lemon bomb/balm that needs to brewed again and soon. This one was met with many mixed reviews, but I loved the twist this one offered some lemon verbena and rye-induced spice that made for one of the more interesting/surprising beers this year. Why isn’t the white/wheat IPA more popular? Because no one wants to take on Deschutes’ hold on hoppy beers. No one hops a beer like Deschutes. No one. This was my beer of the summer. Refreshingly hoppy goodness in a can carried me through record-setting heat, including a 30-mile bike ride. I’m not sure how long this beer has been around, but it made its first appearances in middle-Missouri earlier this year and I’m sure glad it did. Another twist on the IPA (this time with Belgian love), Rayon Vert became the “heavy” beer of summer. What can I say that hasn’t already been said before about Stillwater’s excellence. I could put any of their beers on this list every year. Still, this one made its debut in 2012 and I for one welcome it to the best lineup of Saisons this side of Belgium. The Black IPA/Cascadian Dark Ale continues to dig out a niche in craft beer and Firestone’s entry is no different than the best of the style. Did I mention Deschutes’ mastery of the hop. This fresh-hopped IPA and its fresh-hopped APA cousin (Hop Trip) do what fresh/wet-hopped beers are supposed to: capture the essence of Dionysus’ underwear… or something like that. Most of the Mikkeller releases I enjoyed this year were not all that new to me. However, the experience surrounding the Royal Rye Wine made this possibly the most memorable beer of the year. Read more about it here. What did I forget? What would you add? Disagree or agree with any of these? Folks were worried that Goose Island was ruined forever when they sold out to AB-InBev or whatever they’re called. It seems – at the moment, at least – that those worry warts were wrong. 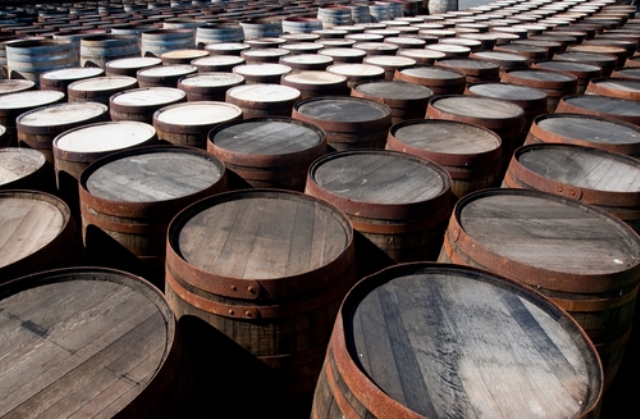 According to this article from the Chicagoist, GI is using the unlimited resources of its master to expand their barrel program. What does that mean? It means that there will be enough Bourbon County Stout for year-round production. One of the world’s best, most sought-after, and rarest beers is going to be a year-round release. There will simply be more of one of our favorite beers available at any time of the year. That’s a good thing, worry warts. This reminds me of labels like Sub Pop and Matador signing big deals with major labels. These indies, realizing the limitations of their distribution and recording resources, signed away something like 49% of their companies to corporate interests in order to get some cash flowing. They then used this influx of capital to promote previously-unknown bands and to give them a boost in touring expenses and recording studios. The result is that they extended their reach and prolonged their lives as productive labels. The bands have benefited as well. 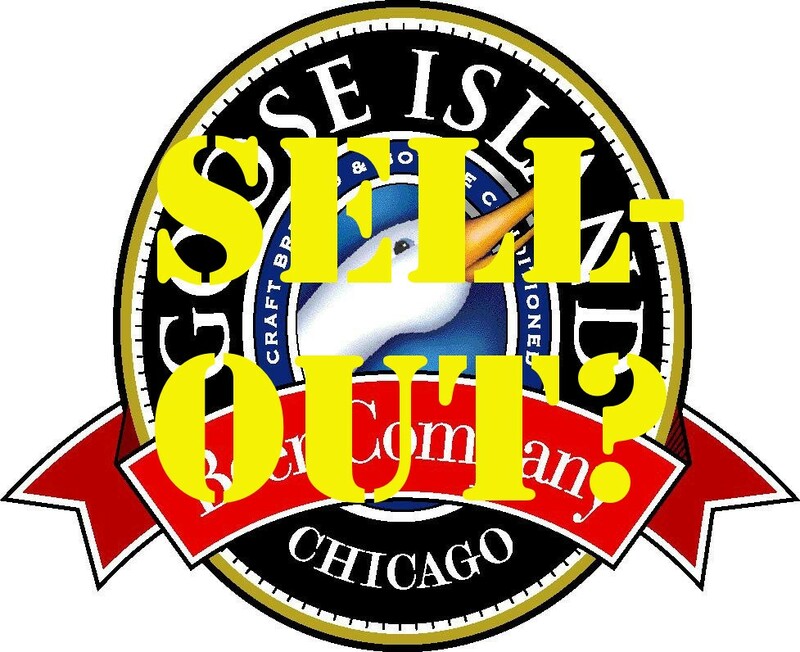 As mentioned above, Goose Island selling out signaled the end of craft breweries for some. 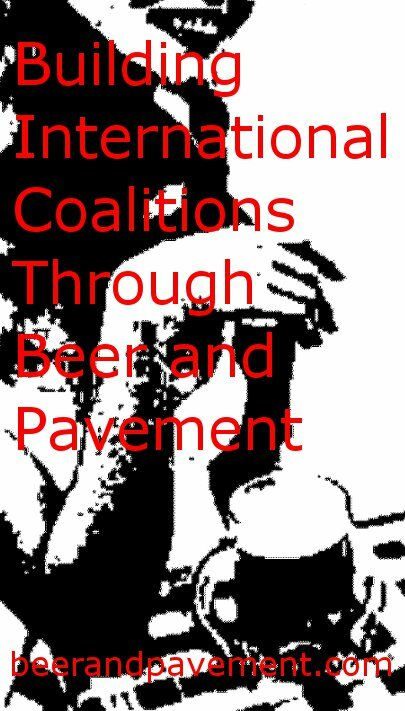 However, if GI plays their cards right, it could mean more growth for them and continued struggles for corporate beer makers as their own flagship brands suffer in the wake of quality, craft beer. So, is Goose Island beer’s Sub Pop or Matador? It was 85 degrees in Middle Missouri yesterday. That heat carried over the night and I couldn’t sleep. So, I figured I’d share a few videos with semi-witty commentary and other bits for your enjoyment. The first two videos are of the WTF variety. This one stinks terribly of the old beer guard whining about newbie beer geeks. Yes, let’s squash their enthusiasm so that no one buys craft beer anymore. That’s the crabby/serious take. Otherwise, I find it odd, oddly amusing even. This is how many beer geeks get their start, but there’s usually a second part where they chill out with the beer extremes and blogging it all to find a comfortable spot for all of us. What do you think? Is it insulting or just silly? Or both? I have no idea what to make of this. Does James Mercer have too much time on his hands? I’m not sure how I feel about the new record (currently streaming on iTunes at the moment and on the way to my house via UPS). Seriously. WTF is this? I’m a big Sharon Van Etten fan at the moment. She feels like this year’s Wye Oak or Eleanor Friedberger. For this AV Undercover session – the first of the new season, Van Etten joins Shearwater for a pretty cool take on the classic Tom Petty/Stevie Nicks duet “Stop Draggin’ My Heart Around”. Breweries brew all kinds of beer, but only a few produce exceptional imperial stouts time and time again. Often, they use one base imperial stout in their aging and barreling programs, but other times they add ingredients to alter the flavor one way or another. These are the five best breweries at producing series of imperial stouts. 5. Mikkeller – Between the Black Hole series and all those Beer Geek Breakfast/Brunch beers, it’s hard to find a more intriguing set of imperial stouts. Add to that one of the better big beers I’ve had this year in Black, Mikkeller holds the title of best Danish/Gypsy brewer of imperial stouts all by himself. 4. Great Divide – Sometimes, it becomes easy to overlook the great beers that do regularly ship to one’s market. We get Great Divide here in Missouri which is a treat. Their Yeti series of imperial stouts is pretty impressive. They add chocolate, oak, Belgian yeast, etc. for a nice lineup of tasty imp stouts. 3. Three Floyds – I have had one Dark Lord in my lifetime and it was pretty great. If you look at any beer rating site, the top imperial stouts list is littered with variations of this one beer. This fact makes it hard to not rate it in my top-5, but the fact I’ve only personally had one bottle makes it even more difficult to rate it higher than the next two breweries. 2. Goose Island – GI is famous for a couple of things. One is the fact that they were bought out by ABI. The second is that they brew Bourbon County Stout. On it’s own, BCS is an incredible beer. However, GI does several versions that are hard to get, but if you do, it’s totally worth it. On top of that, they sell the base imperial stout used to age in those bourbon barrels known as Big John. Let’s hope the first fact mentioned here doesn’t interfere with the second. 1. Founders – Even beyond all the hype built for the release of Canadian Breakfast Stout in bottles this year, Founders brews a mean lineup of imperial stouts. The breakfast stout is the only beer with coffee (aside from some of the Mikkeller beers) that I will regularly buy. Then, there’s Kentucky Bourbon Stout and their “regular” imperial stout. Plus, there are periodically versions of these beers popping up here and there in kegs all over the Midwest. All of this make Founders the king of the imperial stout, IMO. Southern Tier – The Darkwater Series is hard to deny. Check out Chokolat, Creme Brullee, Mocha, and Java for four of the tastiest dessert beers you’ll ever find. Hoppin’ Frog – I haven’t gotten far into the Frog’s BORIS series, but what I’ve had is pretty good. It would help if they had a wider distribution in Missouri, but I can wait for periodic shipments from Ohio now and again. Rumor has it that a DORIS is coming my way. Alesmith – Alesmith’s Speedway stout is a pretty grand imperial, but I just haven’t had enough of it or any of its variations to be able to report on it. Plus, although well-hyped in its own right, it just doesn’t hold the cachet of a Three Floyds yet.